In FL world, this is an integrated wave editor. Those aren’t even supposed to be fun. In FL7, they even include integrated convolution reverbs. Getting the picture? And I know quite a few musicians going the MacBook route who will boot into Windows for this program alone. (It’s Windows-only, and since it’s built in Delphi, don’t ever expect that to change.) Last week at Macworld, my man Onyx of Backlit Lounge SF was doing crazy things with FL + Ableton. “Boot Camp from day one, baby,” is his plan when he goes Mac, just to get Windows and FL. 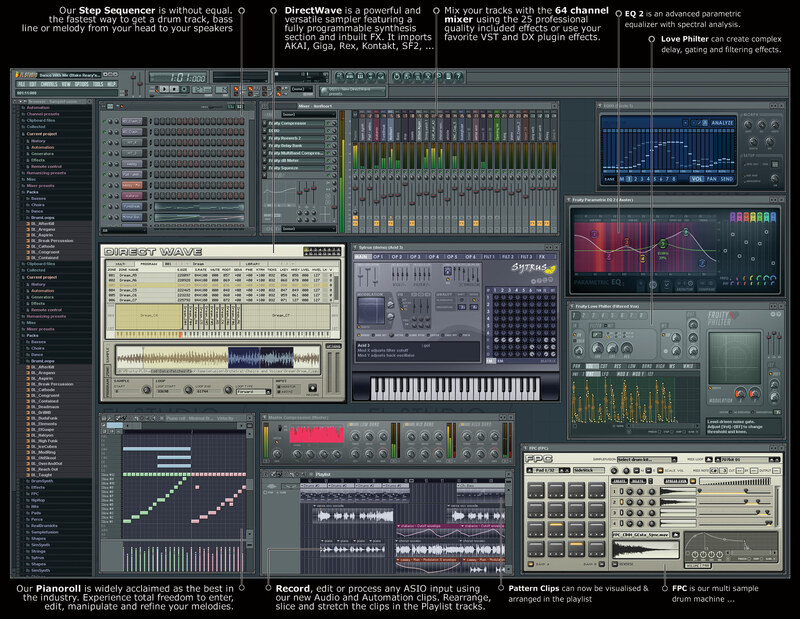 The other amazing thing about FL Studio is how much they’ve been able to squeeze into new releases. FL Studio 7 is officially available this week at NAMM, with store availability due next month. While we wait for our full version, the developers at ImageLine have released some of the features that are coming. 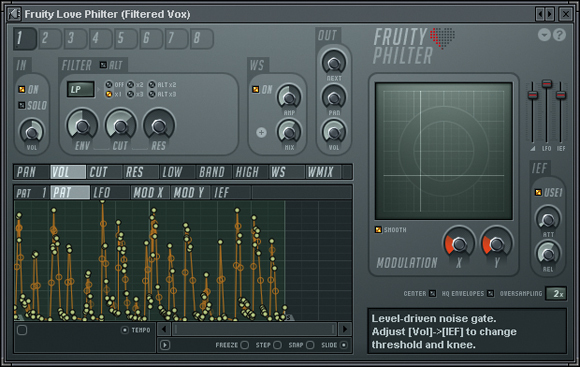 New filter + EQ: The Love Philter just looks like an intensely fun filtering toy, with 8 ganged filter units and FL’s traditional attention to performance and modulation (Ableton has nothing on this one), and a beautiful mastering parametric EQ that overlays spectral previews. Multi-core Support: I told you you’d want to boot that MacBook into Windows. FL follows tools like Ableton Live with better multi-core support, perfect for live performance — though this remains a good choice on older machines, too.